BCR’s New TA2 car blisters a 1:20.6 !!! 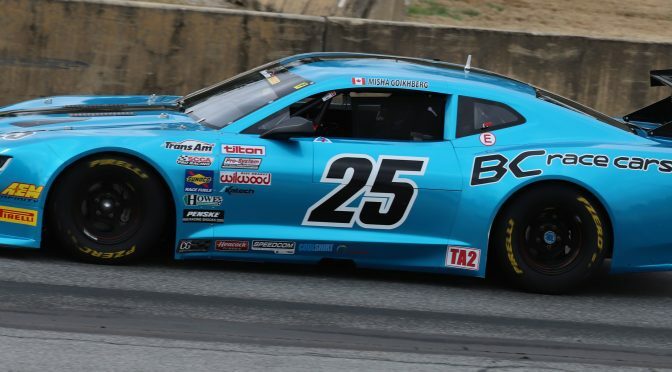 A great test day at Canadian Tire Motorsports Park, organized by Roberto Sabato, proved to be a wonderful day of testing for BC Race Cars’ 2018 TA2 car, based on a Howe chassis. 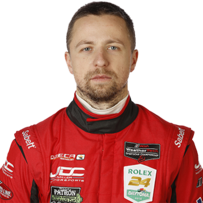 Canadian driver Misha Goikhberg (who won the Watkins Glen 6 hours a few weeks ago overall in a prototype) was piloting our #25 Trans-Am TA2 car, eventually achieving a lap time of 1:20.690 in a mock-qualifying run! We believe this is the fastest a legal TA2 car has ever achieved at Mosport race track. A big thank you to Misha for an incredible drive, not just for that lap but the entire day of testing; consistent, fast, and excellent feedback which made the engineering easier. But no success comes without hard work: the crew of Eric Miller and Mike Nelson did an amazing job in the sweltering heat of 32° C, with numerous changes of shocks, springs, anti-roll bars, even an entire steering rack! Thank you guys for your hard work and dedication. To put this lap time into perspective, a new GT3 Cup Car, costing more than 3x of this TA2 car and running on much wider tires is only a few tenths faster. For those who would be interested in trying this incredible car, or having one built for them, please contact Blaise for details.